When Herbert got discouraged by his mounting bills, Pip would say, “Look the thing in the face.” Herbert would give up, saying he was missing this bill or that bill from Cobb’s or Lobb’s or Nobb’s. (Dickens is too funny!) Pip tells Herbert to estimate those missing bills. 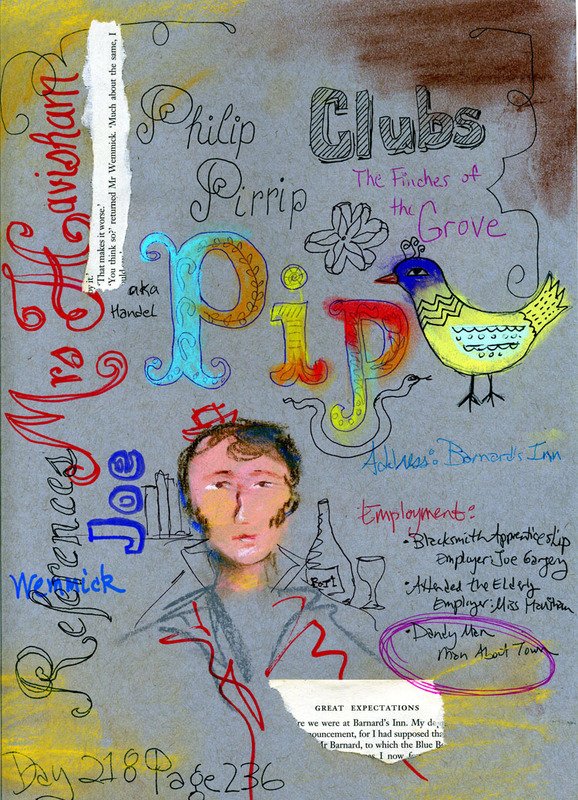 Pip fancies himself a “first-rate man of business”. Satisfied with himself after their debt-tallying sessions, Pip would tie up his bundle of bills and do the same with Herbert’s. Ding-done. Oh, but this does not seem to stop them from over-spending OR paying off these debts!